If you have a large order you would like to place, you may benefit from the design and installation service we offer. We would be able to explain the products that you need to order to make the most out of the space you have. With so many options available – 1 to 16 doors, 300mm width or 400mm width, swivel catch or cam lock – purchasing lockers can be an intimidating process, particularly where large numbers are required. We’re able to ensure that your products have the necessary accessories to complete the look of your lockers. Ensuring that you order the correct meterage of tops/sloping tops and ensuring you have the correct amount of end panels for locker banks. Our design and installation team have continually adapted to the changing requirements of businesses, developing a real understanding of what works best for our customers. When you take advantage of our design and installation service, we’ll take care of the technical details for you, letting you focus on the needs of your end users. 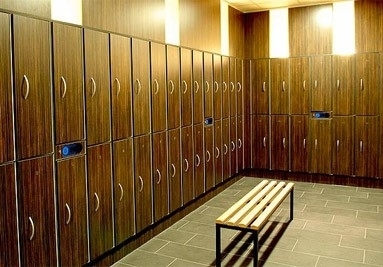 We have limited the amount of lockers you can order through the shop as we felt that with large amounts purchased – the fitting needs to be top quality also. Please speak to our sales team to discuss our design and installation service for large orders.